An unpleasant letter from the internal revenue service saying I need to prove I'm trying to make money with my writing has pushed me away from my exiconic art project back to writing. Is art still art when it makes money? For the lucky likes of Jeff Koons, Gerhard Richter and Damien Hirst, it looks that way. Not to mention best-seller authors. 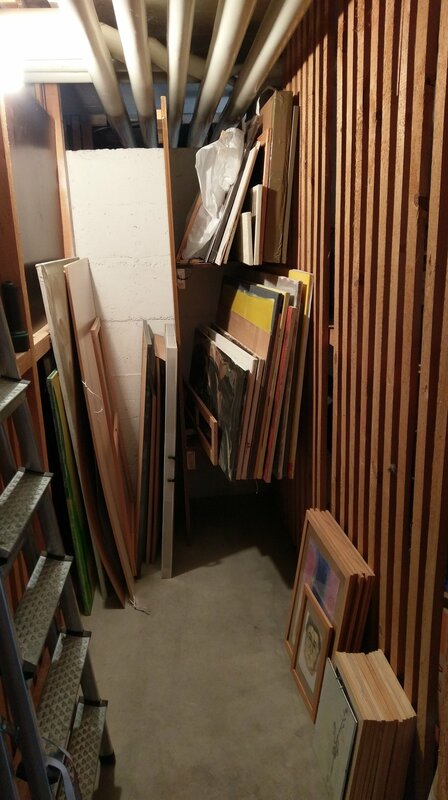 So cleaned up the paintings to the cellar and am back to my project of trying to complete first draft of my novel Paris Choice by year-end. And I launched a YouTube channel for possible long-term monetary benefits... But not easy to make money when holed up in a migraine chamber.